Yaaaaay! Another awesome giveaway hop this time organized by MK McClintock. Thanks, MK! 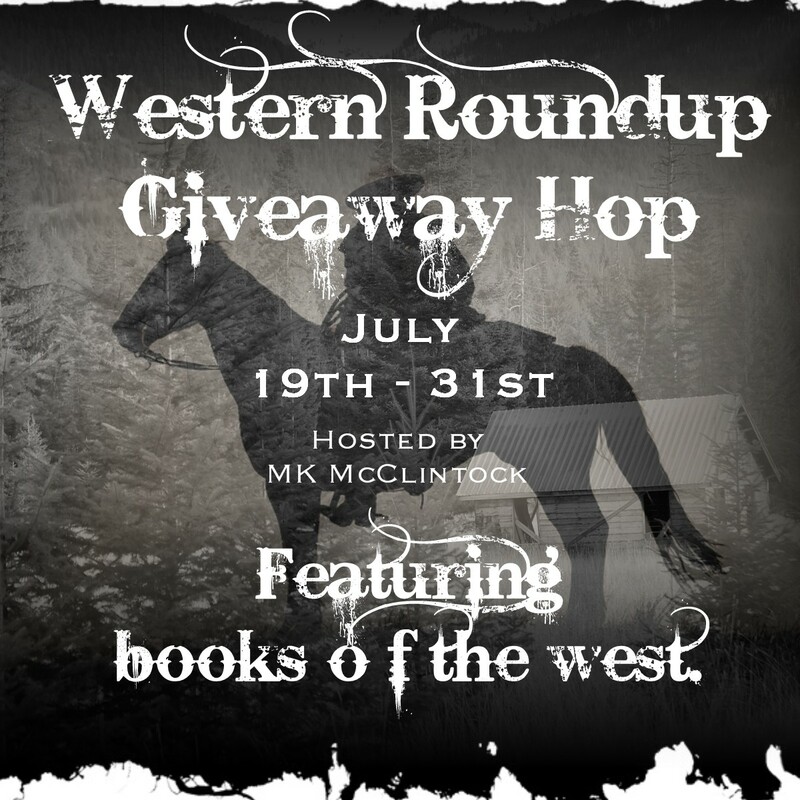 Western Roundup Giveaway Hop runs between 07/19 and 07/31 with my winner announcement on 08/01. This hop features books in the western genre and sub-genres. Whether it’s cowboys, wizards on horseback, magical beings in the old west, or pioneers on a wagon train, historical or contemporary, if it’s in the western genre, it qualifies. I recently finished Texas Hold’Em by Christie Craig and since I loved the book here I am offering a paperback copy of it (US only) as a prize for this hop. Who’s your favorite western romance author? I go first and say: Linda Lael Miller. I read her McKettricks’ Brothers series several years ago but I still remember with clarity how much I truly enjoyed reading it and her heroes are still with me after all this time. I agree with you linda lael miller writes great books. I also like shirleen davies and many others. The first author I ever read of western books was Janette Oke. I really enjoy her books. I also like Linda Lael Miller. Thanks for giveaway. I have read various authors in the past, I cannot recall any at this time, I have read Louis L’Amour classics but those really aren’t any that are similar to today’s stories in the Western Romance genre. Love Janette Oke! Shanna Hatfield’s books are good too! Mine are not “romance” per se, but contain elements of a sweet romance. I love Mary Connealy’s westerns. She has the stories down and a lot of humor with a little romance thrown in. I like Loree Lough’s westerns as well. I really do not have a favorite western romance author. There are several authors I like who write other genres plus western.I do like Robin Thatcher among others. Linda Lael Miller is one I like. I like Linda Lael Miller probably the best. There was one I read YEARS ago that was during the Australian settling, and loved it, but can’t quite remember what it was. It was like an epic, and was wonderful! I already signed up to your blog. =) And one of my favorites is Tanya Michaels! Take care, & I hope you have a great day! It is a new genre for me but I’d love to read a few! Thanks for the chance to win! Hm, I don’t really have a favorite western romance author 😦 I tend to read various genres and haven’t found a favorite one for this particular genre. My favorite is Linda Lael Miller, but to be honest, I haven’t really explored this sub genre very much. The McKettricks’ Brothers series is the first western romance that I picked up and I loved her writing so much that I’ve been trying to explore her extensive backlist. I can’t wait to change that though and see what else is out there!!! I follow by cmucha319@yahoo.com and mt favorite is Janet Daley. Her Calder Series is what got me reading westerns. There are so many great western authors. Elmer Kelton, Larry McMurtrey, Linda Lael Miller, Janette Oke. I hate to list these because I am leaving so many out.